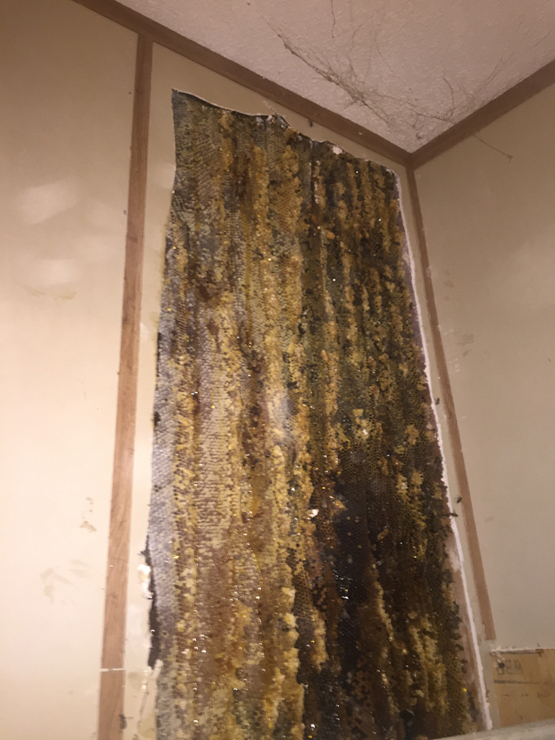 As a company, Bee Charmer removes beehive colonies from house eaves and walls as well as removing colonies from birdhouses, old furniture, water meters and B.B.Q. grills, etc. One hive was even removed from a baby stroller! 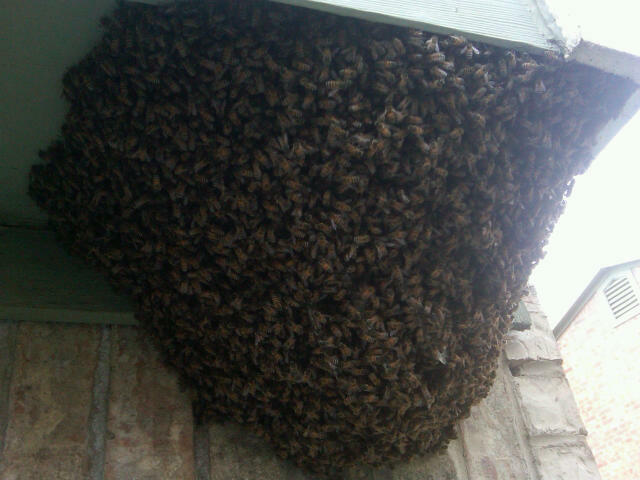 We also collect bee swarms found in trees or in the eaves of houses. 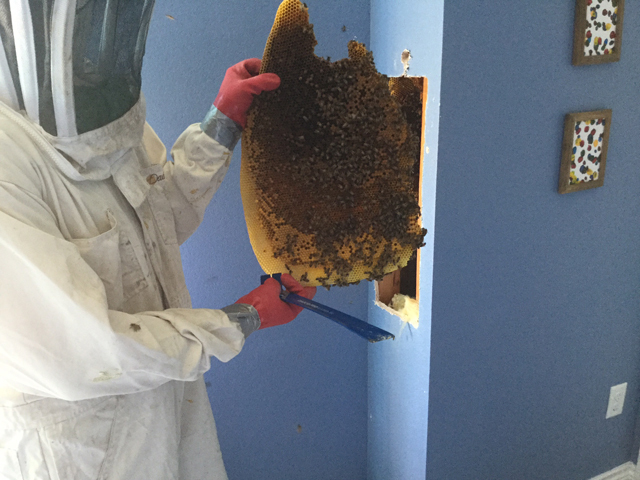 We are bee removal experts. We service Fort Worth, Dallas, Benbrook, Garland, Mesquite, Arlington, Azle, Lake Worth, North Richland Hills, Hurst, Euless, Bedford, all of Tarrant and Dallas County in the North Texas area. Be sure and check out our Enhanced Services! Q. How long do Honey Bee's live? 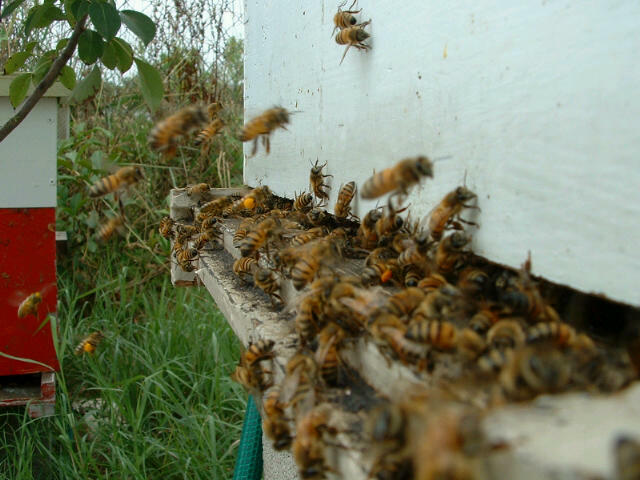 Honeybees can live up to six weeks in the summer and work themselves to death to keep the hive stable and alive. They do not sleep. After they hatch from a larvae type stage, they clean their cell and start to work. They work almost nonstop by feeding other larvae, cleaning the hive of feces and dead bees, attending the Queen Bee, guarding the nest or at the end of the life cycle gathering nectar and pollen. Q. What happens when a new Queen Bee hatches? Before the new queen bee hatches, she is nourished with Royal Jelly, which is made of digested honey or nectar and mixed with pollen and is rich with vitamin B. 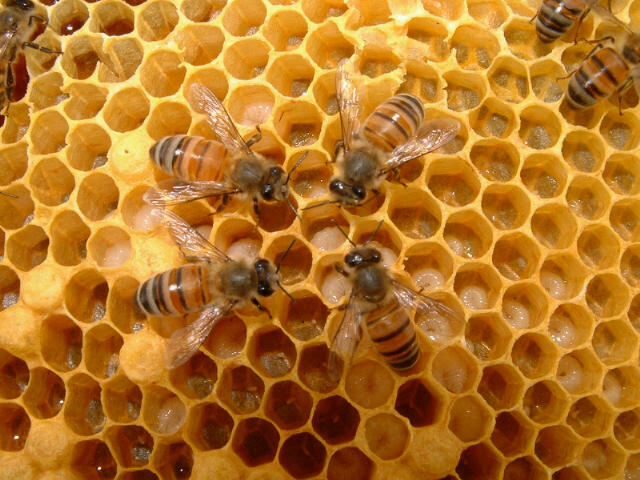 The royal jelly produced by the nurse bees have been evaluated by scientists. When royal jelly is fed to various animals such as pigs and chickens the life span increases to 30%. Chickens increase twice the egg production. Older chickens were able to produce more than expected. With the new queen bee up and running, the old Queen flies away with up to fifty percent of the hive (up to 50,000 bees including drones) to form a new hive. 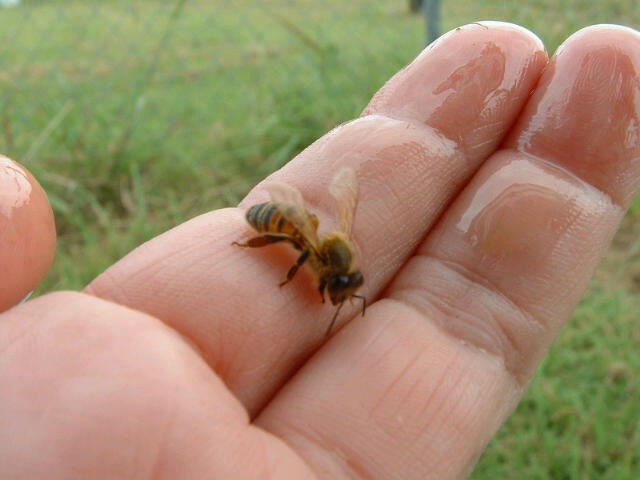 The Queen Bee can lay approximately 1,000 to 1,500 eggs a day starting late in February. She is fed and groomed by her loyal servants. Unable to feed or groom herself, her main purpose is to lay eggs to keep the hive surviving. Q. What are killer bees? These are Africanized honeybees that were introduced into Brazil for scientific study in the mid 1950's. They have shorter wing spans and are slightly smaller then the normal honeybees. They are very defensive and have a greater tendency to swarm. They are more likely to migrate as part of a seasonal response to lowered food supply. They are also more likely move their whole colony and relocate in response to repeated intrusions by the beekeeper. They also guard the hive more aggressively, with a larger alarm zone around the hive. Q. What are Pollination Services? Pollination Services is just as it sounds. We rent our hives and set them up strategically in and around your orchard or fields to ensure your produce is properly pollenated for greater yields. Q. What is the best way to get rid of unwanted bees? If a hive is poisoned rather than removed, the honey will melt and robber bees from other bee hives will come and carry the poisoned honey to their hives which, in turn, will poison their own colony. Some hives poisoned have had up to 50 pounds of honey. 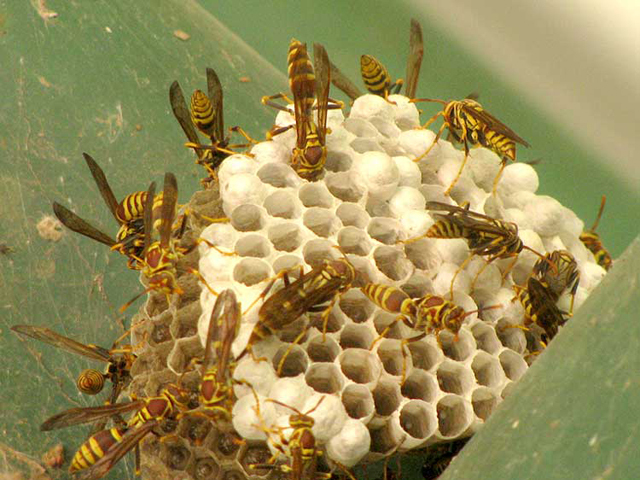 When hives are poisoned before the nest is removed, the surviving bees become more aggressive. Where possible, Bee Charmer safely removes part of the wall of the house in order to remove the nest, which includes the honey, comb, eggs, and bees. The colony is then transferred to a new hive. 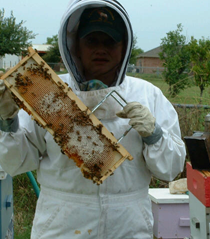 With technology and years of experience, we detect hidden hives no matter where they are built. 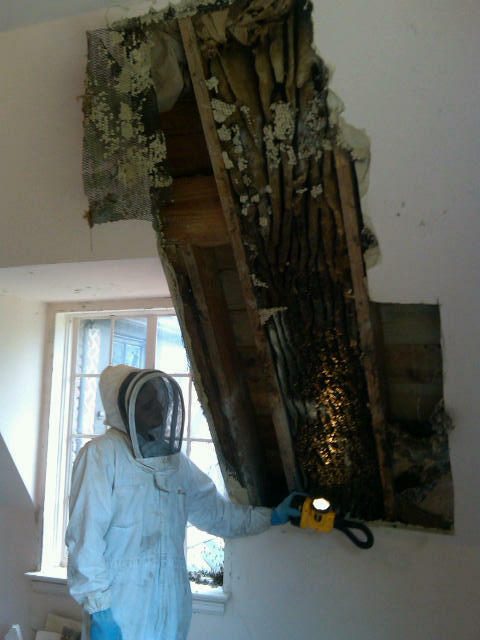 Honey bees often build huge hives inside walls and areas difficult to reach. By assessing the hive location and size, BeeCharmer will determine the most direct means to capture the entire hive to prevent migration to another location nearby. We attempt to extract the entire hive complex by opening the infested areas with the least amount of damage. The area is then treated to prevent future infestations.